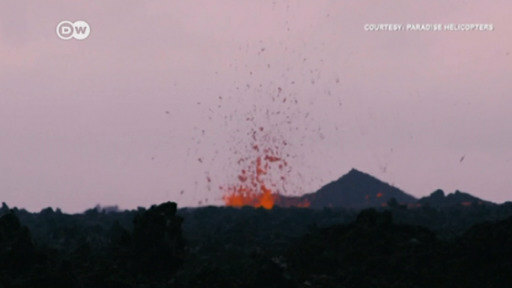 Hundreds of residents on Hawaii's Big Island had to leave their homes after the Kilauea volcano erupted. After a series of tremors over the course of days, the volcano burst into life, spewing ash and lava into residential areas. The Kilauea volcano in Hawaii could erupt explosively and send boulders, rocks, and ash into the air around its summit. Areas near the volcano have been evacuated but the Hawaii Volcano National Park remains open. After a query on Twitter, the US Geological Survey has been forced to warn against roasting the spongy sweets over lava spewing vents in Hawaii. The island's largest volcano, Kilauea, has been erupting since early May.